Limbaugh Toyota is a locally owned and operated Toyota dealer that caters to residents from all across Birmingham and Central Alabama. Limbaugh Toyota’s philosophy is simple – offer our best product and service at our best price possible. We currently have over 100 employees ready to meet all your needs, including the Toyota Body Shop. Limbaugh Toyota is convenient to everywhere, located only minutes from the heart of downtown at Exit 120 off 1-59. Since 1989, Limbaugh Toyota has been serving our customers just like family, and the tradition continues better than ever. 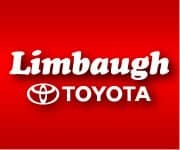 Limbaugh Toyota takes a lot of pride in offering customers the world’s most fuel efficient best selling automobiles. We work hard to create an atmosphere that allows you to make the best decision for you and your family. And the best part is, there is never any high-pressure sales tactics. So whether you are here to check out any of our fuel efficient models or just want to browse, we are here to make sure you feel like family. It may not be a new vehicle, but it’s new to you. With that in mind, Limbaugh Toyota goes to great lengths to make sure every pre-owned vehicle that goes on the lot is as close to new as possible. That way you can feel secure with your purchase. Buying a pre-owned vehicle can be nerve-racking, but with the constant support of the associates at Limbaugh Toyota, you can leave the lot in a pre-owned dream car and feel good about it. 100%! Anything less than 100% customer satisfaction is considered unacceptable to the employees of Limbaugh Toyota service, parts, and body shop department. From general maintenance to major repairs, you can count on Limbaugh Toyota to keep your vehicle in tip-top condition. We have one of the most comprehensive Toyota parts departments in the Automobile Industry. Every time you visit our service department you give our specially trained technicians the chance to show you why they are considered some of the best. Our body shop is recognized as one of the best in the Southeast as fair and efficient. .. that’s how Limbaugh Toyota strives to be at 100%! That’s the same reason why you’ll be coming back again and again. Come by and visit us, you’ll almost always find a member of the Limbaugh family in the dealership because Limbaugh Toyota is a family business serving Alabama families.